There is no magic bullet to losing weight, it takes consistency and discipline, but keeping a food diary helps you lose weight. A Kaiser Permanente study involving more than 1,600 people found that those who kept a daily food journal lost twice as much weight over six months (18 pounds versus 9) compared to those who weren’t regular recorders. Most coaches know this – write down your goals and you’re more likely to achieve them, write down the steps to get there, and it’s even more likely. Essentially, that’s what you do when you log your food, you are writing down the steps to achieve weight loss. Everyone is always looking for the magic bullet to weight loss – well, if you start writing down your food intake, you know the secret! When you register, you provide us with your basic stats – your height, weight, age, gender, and weight goals. The site calculates a recommended daily intake of calories for each person that is based on these criteria. Based on this recommendation, the user can start logging their food intake. Simply by logging your food, many people learn a lot about their food choices. Even with just that awareness, most individuals begin to make changes. And the longer one logs their food, the more they learn about making healthier food choices, and usually they adapt very quickly. The individual truly focused on weight loss will begin to plan their food intake for the day, even their week, to ensure that they hit their goals for the day. 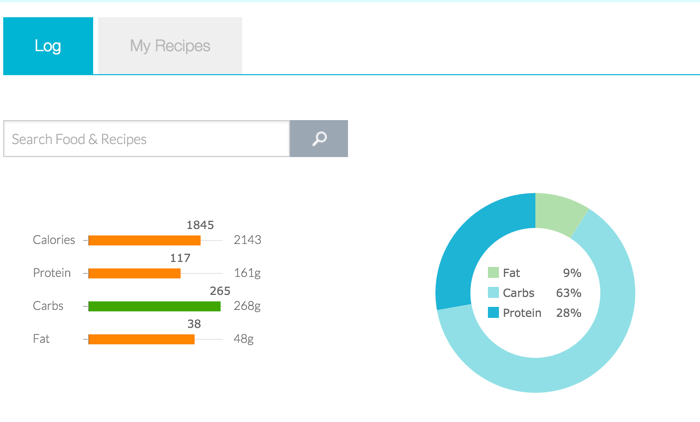 Through Focused on Fit, you can monitor your nutrition throughout the day, using the Nutrition tab. 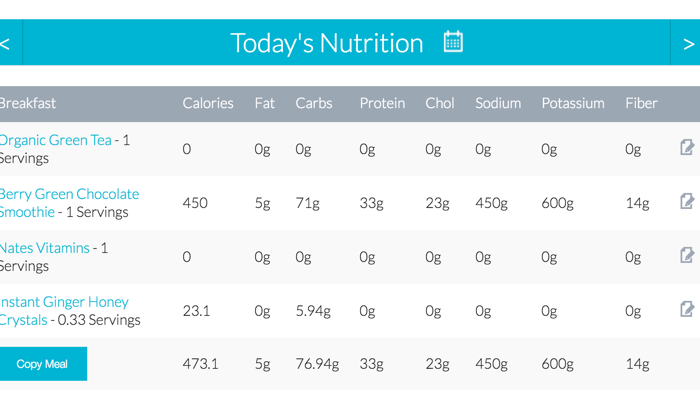 This provides a snapshot for the day, including total caloric intake for the day, and a breakdown of the 4 macronutrients. For weight loss, the formula is pretty basic, calories burned must be greater than calories ingested. The focus on the top bar will drive overall weight loss. Additionally, by referencing the My Day tab, a user can evaluate their entire day at a snapshot and even get an idea of the week’s intake at a high level. At the top of the screen, the site offers an overview of the day’s intake. And just below that, are the all important badges. 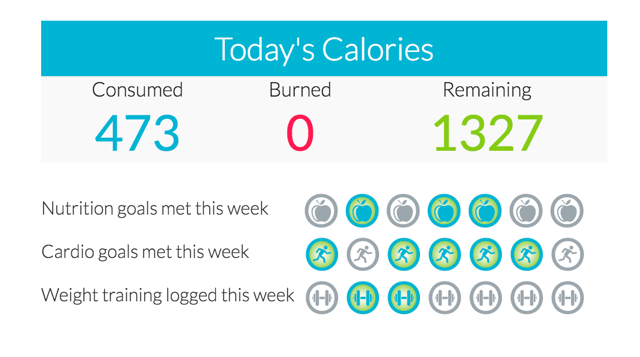 If a user meets their goals, whether for nutrition, cardio or weight training, they will earn a badge for the day. For weight loss, the nutrition badge is critical. The more days one hits their nutrition goals, the more likely they will achieve their weight loss goals. Remember, one bad day or even one good day won’t make or break a weight loss plan. It has to be the consistent adoption of these lifestyle changes over time that make the real impact. So, are you ready to achieve your weight loss goals? Don’t put it off any longer. Our FREE online food diary helps you lose weight. Now is the time to register.